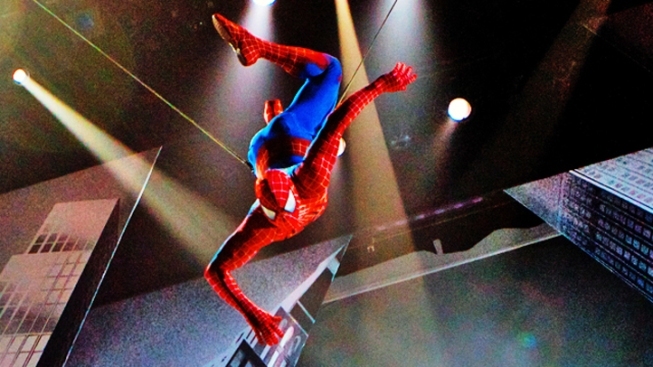 After a multitude of injuries, actor Christopher Tierney is returning to the stage of "Spider-Man: Turn of the Dark." A lead producer of the Broadway musical "Spider-Man: Turn Off the Dark'' says an actor badly hurt when he tumbled from the stage in December is expected to be back rehearsing Monday. Michael Cohl said Wednesday that Christopher Tierney has been cleared to rejoin the show and hopes to be swinging over the audience again on opening night June 14. Tierney fell 35 feet into the orchestra pit in front of a shocked preview audience when his safety harness failed. The 31-year-old suffered a fractured skull, a fractured shoulder blade, four broken ribs and three broken vertebrae. His father had said from the family's Portsmouth, N.H., home he couldn't wait to resume performing. The show is on hiatus while a new creative team reworks it.